Keten Electric Auto Makeup Brush 360 Degree Rotating Handy Vibration Brush Face Powder Puff Blending Cosmetic Brush . The head can rotate 360°clockwise, with gentle vibration, it can offers a comfy massage on your face. 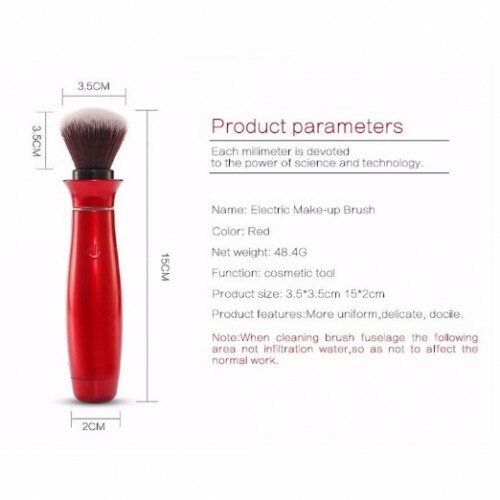 Improve make-up effect, making your makeup more evenly and flawless, show you remarkable magical make-up result! Automatic feature, with touch-key design, extremely easy and convenient to use, which saves your time and energy, and works more efficiently compared to manual work. More hygienic and durable Premium synthetic fiber materials, provide an incredible touch and feel. 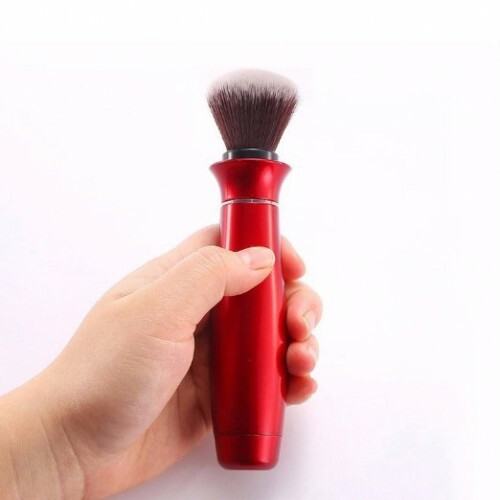 The electrical make up brush is an innovative go-to beauty tool, designed uniquely for those women who want to achieve excellent makeup result with the least effort. The only thing you will need to get is two AA batteries. 1. 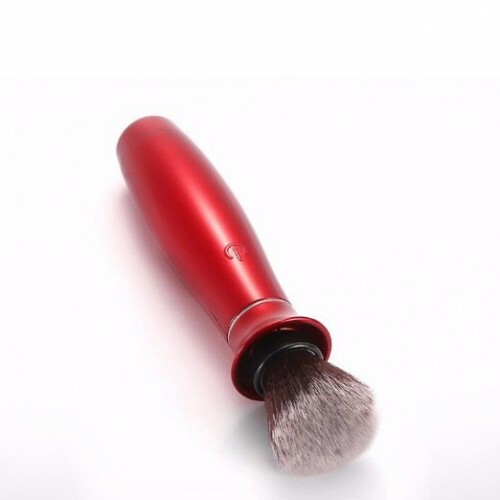 The electric makeup brush is able to rotate 360 degree, combined with the gentle vibration, it is so high-effect that it can not only smoothly paint the cream on your face but provide a massage on your face. 2. 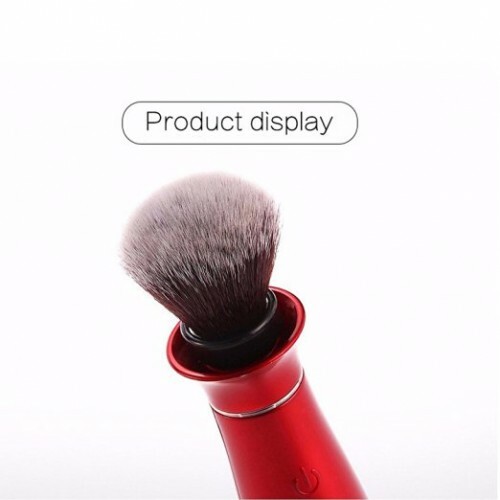 It's a handy product, with the super convenient touch-key design, making it absolutely simple to use. Touch the switch, and the electric brush will begin to work. 3. 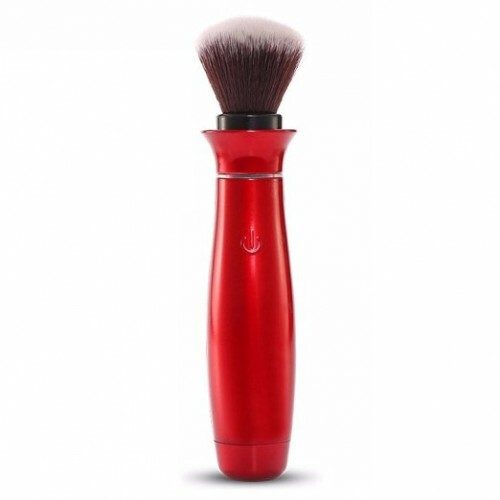 It is made up of high-quality synthetic fiber, which feels soft and comfortable to your skin. 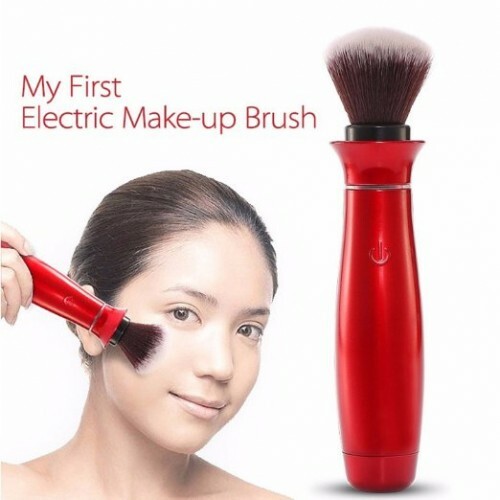 With this electric gadget, makeup is no longer an annoying and time consuming work! Just blot your foundation or concealer on your face and start blending, a flawless and a more 'natural' look is waiting you.